I think the wooden wall is meant to be a transition from the rustic Southern woods to a galactic outpost. 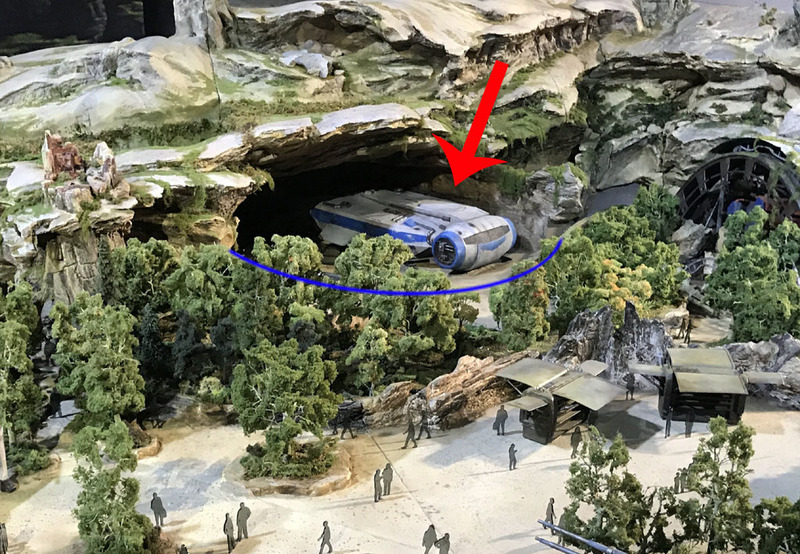 That portion of Galaxy's Edge will be foresty and rocky so that transition wall could work work very well. It's not like this project was designed by amateurs. This is top-shelf Disney design so maybe give them the benefit of the doubt that they know what they're doing here. Oh, please don't misunderstand me! I have no doubt that whatever they do will be well designed and built. I'm just wondering how the wooden plank wall will transition into something more in line with what we've come to expect from Star Wars. I'm aware that the west end of SW:GE will be forest-themed, but will the wall taper off into a berm with trees or a rock wall, or...? Now a third SILA video taken 2/13/18 this is viewing the SWGE construction from the Hungry Bear. I'm really liking how the SWGE rock formations are forming a backdrop for the Rivers of America. I was a bit worried to begin with but now seeing the actual formations taking shape, it's all going to be good...in my opinion. Hmmm... I could have sworn that Google maps and Apple maps had already been updated with images of the SWGE area from well after the beginning of the construction (though definitely not up-to-date), but I just checked both and they're showing images of the area as it was before demolition even started. Am I wrong about the maps ever showing any of the SWGE construction? New SILA videos out today! Here's one starting from M&F. 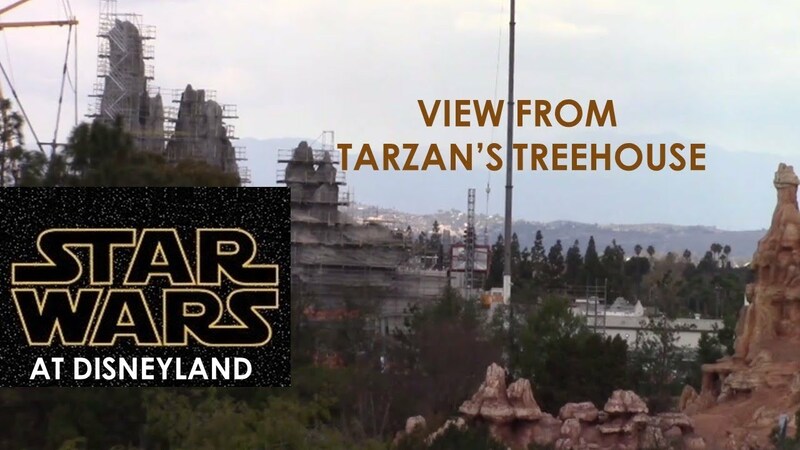 Here's a short view from Tarzan's Treehouse. And another view from the Hungry Bear. My Apple maps on my phone shows an image after everything has been cleared out but no vertical construction yet. For Google, if you turn 3D off it shows an image when Batte Escape was just starting to go up and the Fantasmic! storage was the only thing built on the river. Ok. I was checking Apple Maps.app on my Mac. On my iPhone the image shows the diggers still prepping the ground before any construction has started. I just checked Maps in Google Chrome and verified that I still see the earlier image with 3D turned off. It's weird that these are all out of sync and some seem to have regressed to an earlier state. Last edited by BiggestDisneyFan; 02-23-2018, 10:03 AM. I think what they were talking about was how you get from the ground to the star destroyer. Some insiders on other sites have dropped hints on the subject. Apparently you get there via the ship aimed at by the red arrow. Remember that big round concrete thing they built? That appears to be a giant lazy susan which has two or three ships sitting on it. To get to the star destroyer you walk out into an enclosed area and get onto that ship. Once the ship is loaded the giant lazy susan rotates and your ship rotates indoors while another rotates outdoors. You are unloading indoors into what looks like the star destroyer launch bay while another group of guests is loading outdoors onto the next ship. This makes perfect sense since based on recent videos that overhang is being constructed on the back wall of that big round concrete area. Does anyone, other than the Disney Imagineering design team, really know what the entire BE ride system will be? Those little ride vehicles at the D23 Expo don’t really tell us anything. They put something out there, two years before the attraction is scheduled to open so we have something to look at, but I’m not convinced that those vehicles are what will ultimately be used for the attraction. There are multiple levels in the BE building and I remember when they were building the steel structure, there were many overhead continuous structures with handrails that were certainly much stronger than what would be necessary for just catwalks, capable of supporting an overhead track system. It wouldn’t surprise me if the BE attraction turned out to be an entirely new hybrid ride system that incorporates two or more elements of existing ride systems. I'm still looking at those mechanisms that were delivered recently, with all of the Imagineers standing around them, have more significance in the overall scheme of things. Animatic shown during the “Wonderful World of Disney” special. Notice the same droid in front? To me this confirms the ride vehicle will be the one shown at D23, or at least something very similar. Didn't MiceAge put out some information, quite some time ago, stating that Battle Escape might actually have multiple stages, where the guests would exit one kind of ride vehicle and enter another? In the case of the Stormtrooper Battle Escape ride, code-named Alcatraz, WDI wants you to rush to your wireless and trackless vehicle and board and then disembark and re-board the vehicles on different levels of the massive ride building several times during the course of a long experience, all while under attack by Stormtroopers. The pit currently being dug deep into the ground on the Alcatraz site is required for the elevator mechanism that will make the multi-level ride possible. Imagine riding Pirates of the Caribbean, but getting off your boat in the caverns to explore the skeletal remains, getting back in your boat quickly when you hear Barbosa attacking the fort, sailing along until you get out of your boat a second time in the auction scene to interact with the panicky townsfolk for a while, then re-board your boat quickly when the fire breaks out to escape by sailing through the rides finale’. This might be where you remember seeing that you will disembark. I think the "exit one kind of vehicle and enter another" was created similar to that game "Telephone" where information is passed around and someone then says that is what was originally said when it really wasn't. I couldn't find any articles that state that, but maybe someone else can. 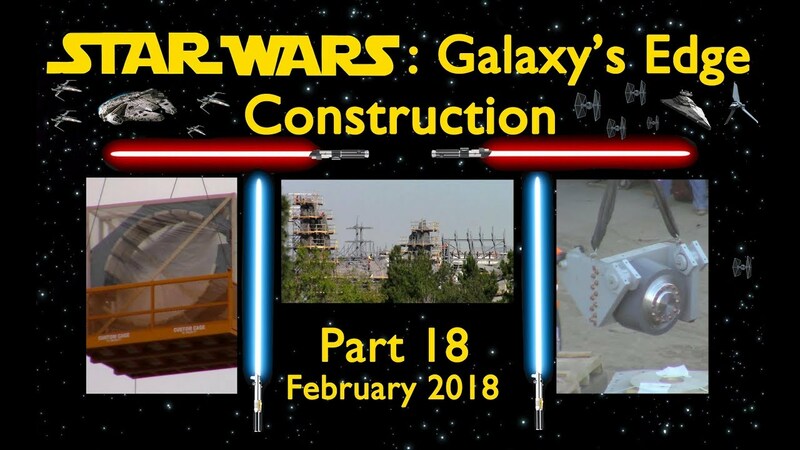 If there is changing of different vehicles, I think that will happen as Macro pointed out in a previous post that there will be a pre-show vehicle transporting you to the Star Destroyer before getting into the trackless vehicle that will be the main ride. I have a hard time believing they will have you exit your vehicle several times as others in the past have pointed out it would be an ADA nightmare. Time will tell. FYI, this article http://micechat.com/116178-miceage-d...ate-star-wars/ again calls it trackless. This all sounds about right to me. I was thinking some more about the area and information Macro posted above and went back to the satellite images that were grabbed from nearmap back in December and I think I kinda understand what could be happening. Weird, little detail I just noticed is this separator wall between two exterior doorways. To me, it seems the most likely reason the two doorways are separated is because they are separate entrances (regular vs. fastpass or guest vs. cast?) or an entrance and exit. But those are just a guesses. Any other ideas why such a wall would exist? Megan and Mark uploaded another video today which is pretty awesome since they are usually about a month apart. I had shared with them the theories we've been talking about here (perhaps others have too) and they spend some time in the video talking about the ship being used as a transport to the Star Destroyer. Megan even made an illustration of how it might work. It gets me super excited! 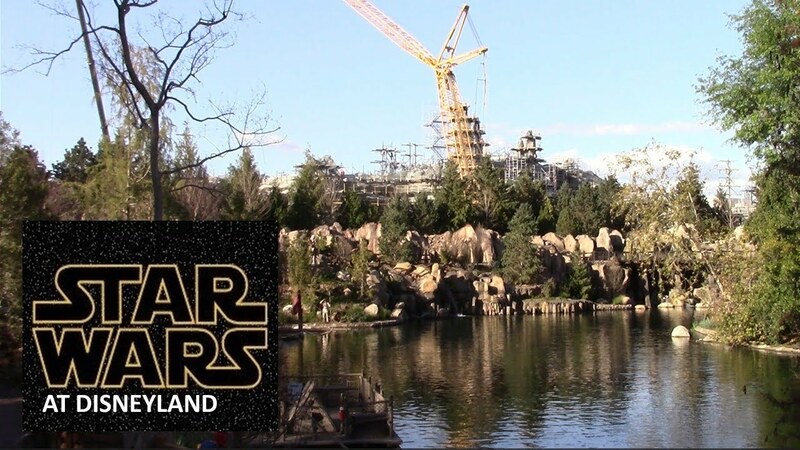 This video shows the development of Star Wars Land (aka - Star Wars: Galaxy's Edge) at Disneyland during the last couple of weeks of February 2018. 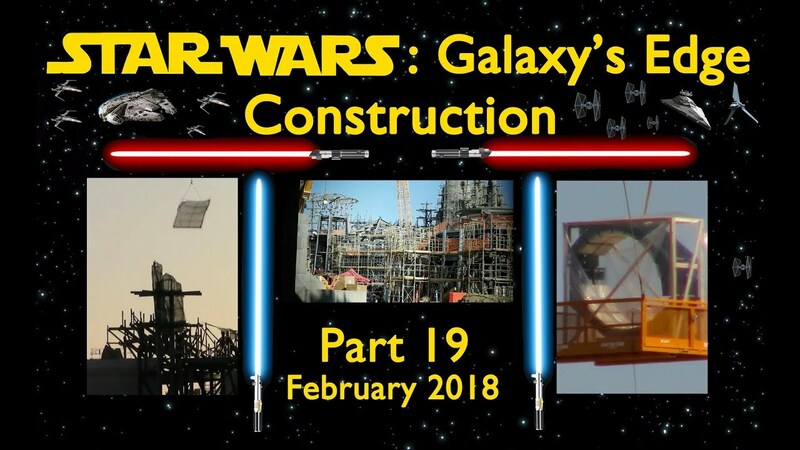 So, I was back at Disneyland yesterday so here's my pics of how Star Wars: Galaxy's Edge is coming along. It looks like their pretty much finished with the show room exteriors, and coming along quite a bit with the exterior sets. Obviously there's still a lot of work to go before we get to see this. Shot from the parking garage, in front of Hungry Bear Restaurant, and on the Mark Twain Riverboat. Also accidentally including a pair of women who kept waving at the riverboat and an animitronic beaver that seems to be endangering the Disneyland Railroad. Thanks for all of the pics. The structures in SWGE just keep getting bigger! I think that, when it's done, the scope of the rockwork will dwarf even that of the Matterhorn and the Cadillac Range. I imagine that being in 'Batuu' will give a sense that the mountain edges are almost overwhelming the land. More great video and commentary. The SWGE buildings seem to have huge HVAC systems. The hubs on top of the buildings have doors and are room-sized and the primary ducts look to be close to five feet in diameter. There are actually two parts to the Yensid 55 step by step SWGE construction for February 2018...this is the first, part 18. They have some more close-ups of the large wheel mechanisms that I speculated was an indication of an overhead track ride system. Mark's explanation of their purpose makes perfect sense, blowing my overhead track theory out of the water...which is what generally happens when I speculate about such things. 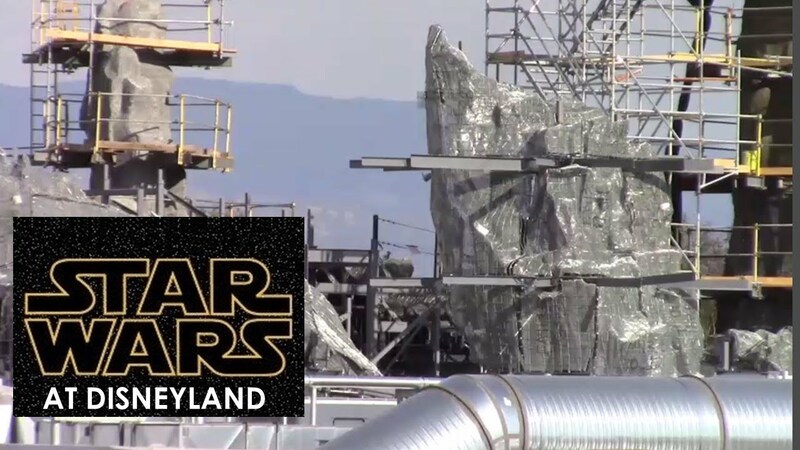 This video shows the development of Star Wars Land (aka - Star Wars: Galaxy's Edge) at Disneyland during the first part of February 2018. Last edited by Hammer; 03-02-2018, 10:54 AM. Ahh yes, you are correct. I believe part 18 was a week earlier and I figured someone posted it on here, but I guess not. It was nice to get two videos so close together.